Think of the companies that dominated their industry despite hordes of competitors: What did they have in common? If you're competing in a crowded market, what can you learn from those leaders to apply to your own business? Leading companies generally take one of three main paths to surge ahead of their competitors. Being first to market comes with its challenges—educating the market, finding the right timing, changing buyer behaviors—but also its advantages. Taking the trailblazer approach allows you to set the tone of what matters and what doesn't, and it sets up your team to be the thought leaders in an emerging industry. Kleenex has become the clear leader of the facial tissue market that it created. Many consumers even use the brand name for any facial tissue. "Imagine a world before tissues," its brand history page starts. After launching Kleenex as a women's makeup remover, the company found that some (male) employees had started using the tissues instead of a handkerchief when sneezing. Suddenly, Kleenex emerged as a product for both men and women—and for a new purpose. It has been the top facial tissue product in the world since launching in 1930, and it's on Forbes's list of World's Most Valuable Brands. By being first to market, Kleenex was able to solidify its place as the leader. How can you be first? Start by getting to know your customers deeply. Learn their needs, challenges, and problems. If you find a challenge not yet solved, there's an "in" to be the first. You don't have to be struck by lightning to be generate a brilliant idea. Conduct research to understand your customer base and how you can tackle an unsolved problem, aiming to create value for those customers. 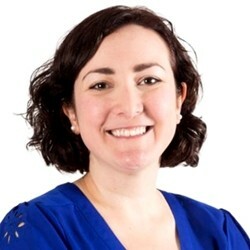 Ellie Mirman is CMO at Crayon, a market and competitive intelligence company that provides strategic insights and inspiration for marketers.